The Go-Anywhere ioSafe Rugged Portable SSD Hard Drive has been designed to withstands the most extreme enviornments and will keep your data safe- wherever you take it. Like an aircraft black box for mobile data. 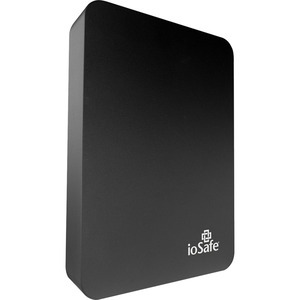 The ioSafe Rugged Portable is the safest way to move data. Whether you need to protect data from drops during your commute or protect it from the most extreme environments on the planet, the Go-Anywhere Ultra Rugged Portable Hard Drive is up to the job. Crush protection up to 5,000 lbs.